IDEC have introduced the 12VDC model MicroSmart Pentra Programmable Logic Controller to their range of FC5A MicroSmart Pentra PLCs. With a consistent level of performance, the 12VDC MicroSmart Pentra PLC is suitable for eco-friendly solar applications, including traffic signs and road side controls, lighting and tracking systems. The 12VDC Pentra PLC is used for remote water pumping stations in the gas and oil industries and also in vehicle applications, such as utility trucks, trains, vans and buses. 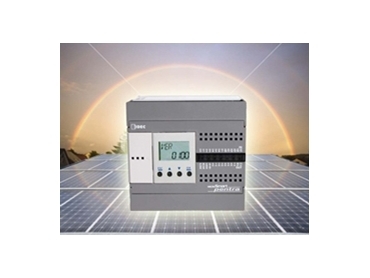 The 12VDC model MicroSmart Pentra PLC from IDEC is available in brick design with 10, 16 or 24 built-in I/O’s. The MicroSmart Pentra Programmable Logic Controller has a high speed CPU that provides fast scan times and reliable throughput and also supports double-word and floating point maths. IDEC have up-graded the WindLDR programming software to version 5.32. With a user friendly interface and with features such as online editing, simulation mode, a custom monitor dialog box, this software is easy to programme, debug, and to maintain.